We posted this article last November, but decided to share it again since it carries such an important message and we are celebrating Grandparents & Special Friends Day today. Then I felt bad for never having bothered about Grandparents Day. Clearly, it meant a lot to a child. So, when the next invitation for Grandparents Day at my grandchildren’s school arrived, I took the day off, and I went. Of course it was wonderful to experience their school day, and as a teacher, it was interesting to see how another Hebrew School or Jewish Day School operated, how other Hebrew teachers taught. 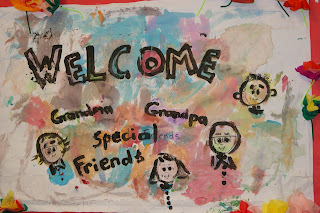 But I did not expect how nice it would be to meet other grandparents, and to share experiences with them. Now I have made my own friends where my children live. I believe that events like these, that create bonds not only between generations, but also within each generation, are especially important here in America because they foster that sense of community that will continue our traditions. 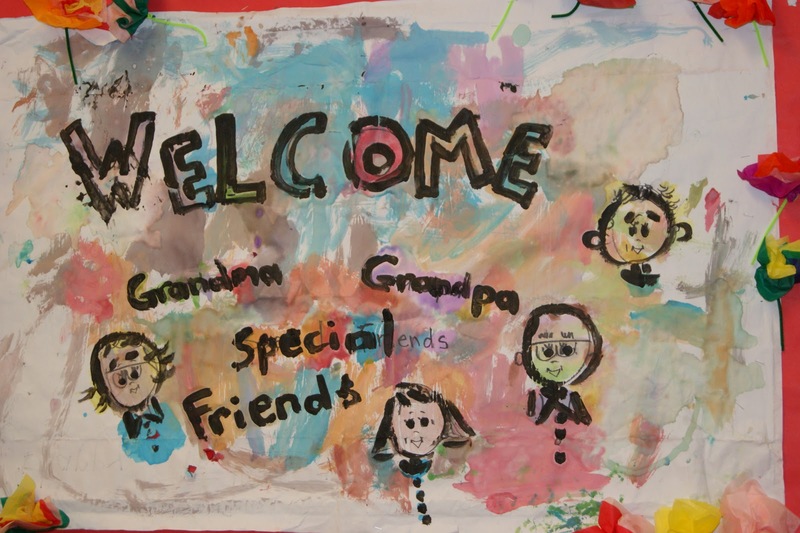 As a grandparent, I realized that you come to Grandparents & Special Friends Day not only for the kids, but for yourself. 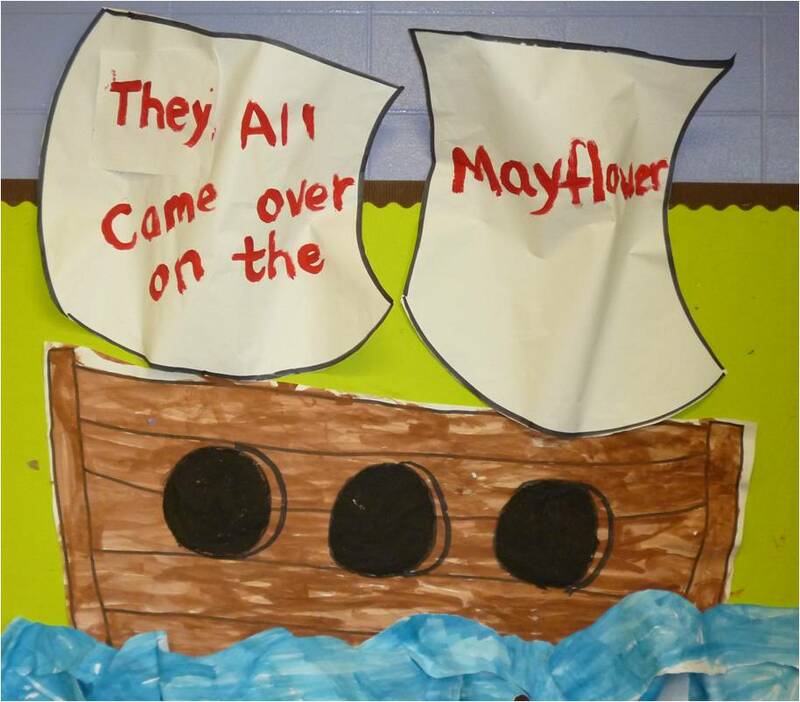 Three-year-olds in the Purple Room learned about the Pilgrims coming over on the Mayflower. 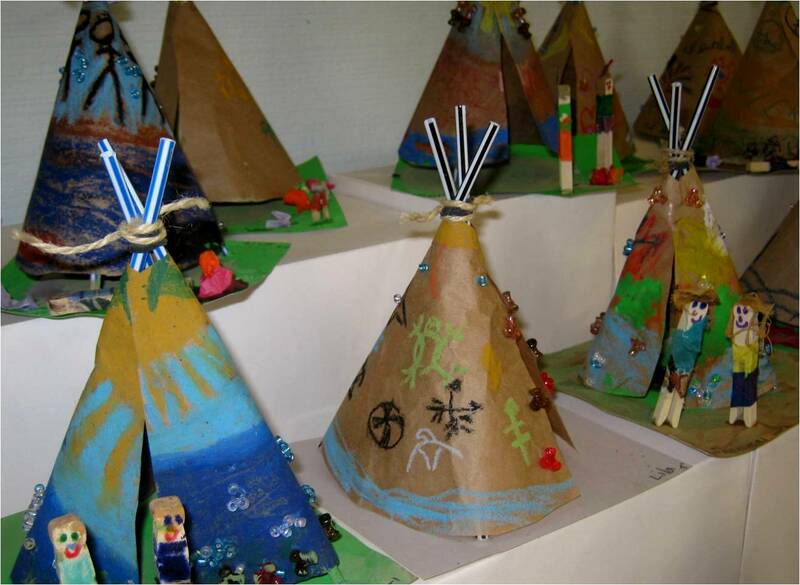 3rd and 4th graders created these beautiful teepees, complete with clothespin people to live in them. 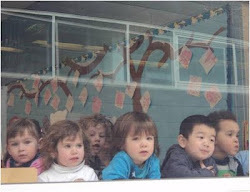 So you've decided to send your child to a Jewish day school. Mazel tov! However, that decision was the easy part. Choosing which day school is the hard part. Following are tips on how to look beyond each school's PR speak and determine which one is the best fit for your child and your family. Spend a day at the school from drop off to dismissal. Pay special attention to "down" times: recess, homeroom, lunch, grace after meals, and hallway traffic between classes. These unstructured times will give you a flavor for a school's culture and values, and a sense of what it would feel like to be a student there. Stop in on a Hebrew language class. 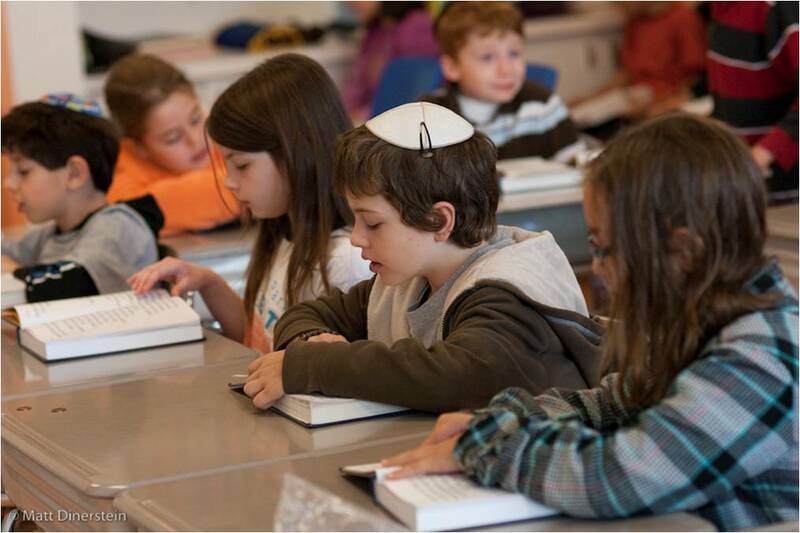 Are the students learning modern Hebrew or the more old-fashioned, Ashkenazi Hebrew? Is the school Zionist? No matter what your child's age, sit in on an 8th grade class, particularly in the Humanities. Eighth graders are the final product of the school and the best barometer of what your child will look like when he finishes. Is the average 8th grader a mensch, respectful of peers, capable of speaking in a mature way with adults? Attend a graduation. No one likes sitting through speeches, but a school's 8th grade graduation does say a great deal about the school. This is especially true if the students give a speech. 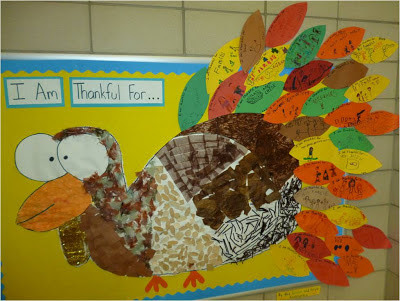 What are they grateful for? Are they sad or relieved to be leaving? Both emotions are normal, but which one stands out more? Many a parent has been sold on a school because of witnessing a touching graduation ceremony. Meet with the Head of School. Admissions officers give you a plethora of information, but the heads of school are the true captains of the ship. Their personalities speak volumes about the school. How do you feel after meeting with them? Do they seem genuine? Do they share your philosophy and values? Would you trust them with your child's education? Look at financials and demographics. With an uncertain economy, a school's financial stability is important, especially you have more than one child. Ask to see the school's enrollment numbers for last five years, as well as any budget numbers you think important. For instance, what percentage of the student body receives financial aid? How heavily does the school rely on fundraising ? How do the numbers in Kindergarten and first grade compare to those in eighth? Some numbers are confidential, but most are not, and transparency is a plus. Also, ask about the demographics of the student body. Do families span income brackets? The religious spectrum? Do they come from a variety of neighborhoods? Parents differ on what peer groups they want for their children, but this will allow you to make an informed decision. Ask about alumni. What happens to alumni after they graduate, in the short and long run? Most schools are proud to tell you about their graduates' many achievements, and often include information about this on their websites. Read the mission statement. What topics come first? Excellence in academics? Commitment to mitzvot? Menschlechkeit? Is anything glaringly missing? Long range planning committees, writers and PR professionals put a lot of thought into a mission statement. As with the Torah, every word counts. Do the five-second test. Open up a school's website, look at it for five seconds, and then close it. What do you remember? This test is often conducted by marketing professionals to help organizations hone their websites because the average time people spend on a webpage is 5.23 seconds. What you remember about a site says a great deal about it. Was it up to date? Were photos mostly of younger children? Was there a sense of joy and vibrancy? Does this school seem prestigious and academic, or loving and nurturing? Trust your gut; a website is a school's "shingle." If the administration doesn't take the time to work at it, then that, too, says something about their overall savvy--or lack thereof. Listen to word of mouth. This is the most authentic way to find out about a school, and it's usually the strongest tool for recruitment--or attrition. Ask for the names of current parents you might contact and make those phone calls. Check a school’s social media. Look Internet outlets such as Facebook, Twitter, or a blog. Social media incorporates not only the school’s official posts, but those of their greater web community. Scan through the photos and conversations to get a more unfiltered feel for the atmosphere and culture of the school. Talk to students. If you follow only one tip from this list, let it be this: Talk to the students you pass in the hallways. Stop them when they're not running late to a class or are surrounded by a posse, and tell them you're considering sending your child to this school. Then ask, "How do you like [insert school name]?" Most of them will be thrilled to talk to you, and what they say on the spur of the moment is usually more telling than anything else you could find out on a school tour or website. If they like school, that will show through. A longer version of this article first appeared in the July 2012 issue of The Jewish Advocate of Boston. Reprinted with permission. With the presidential election quickly approaching, election fever has taken over our school. The 7th/8th graders are running an all-school mock election, in which 1st through 8th graders get to vote for different Israeli cities represented by fictitious cats. Each group of 7th/8th graders campaigned for a different city in Israel. The hallways have been plastered with campaign posters, and lunchtime has been quite spirited with "campaigners" popping in to give "campaign speeches." In one 3rd/4th grade class, students used charts and maps showing the distribution of electors for the 2012 Presidential election to solve some fun and challenging electoral college math problems. Did you know that it is possible for a candidate to win the electoral college vote (and thus the presidency) and only win in 11 states? It would have to be the right 11 states, and the students figured out which ones they are. Another 3rd/4th grade class created election handbooks with information about the general election and its laws and rules. The students learned facts such as: the President and the Vice President cannot be from the same state, you must be at least 35 years old and a natural-born citizen to be eligible to run for President, and how the Democratic and Republican parties got their start. Election handbooks created by 3rd and 4th graders. The 5th graders looked at how large a role "swing states" can play in the election, and 6th graders are focusing on the persuasion techniques of campaigning by creating commercials for fictional candidates. Lastly, the school newspaper held a school-wide poll, the results of which are eagerly anticipated. With all these activities we can confidently say that elections can be fun, and that we are well prepared for the big day next week to roll around.